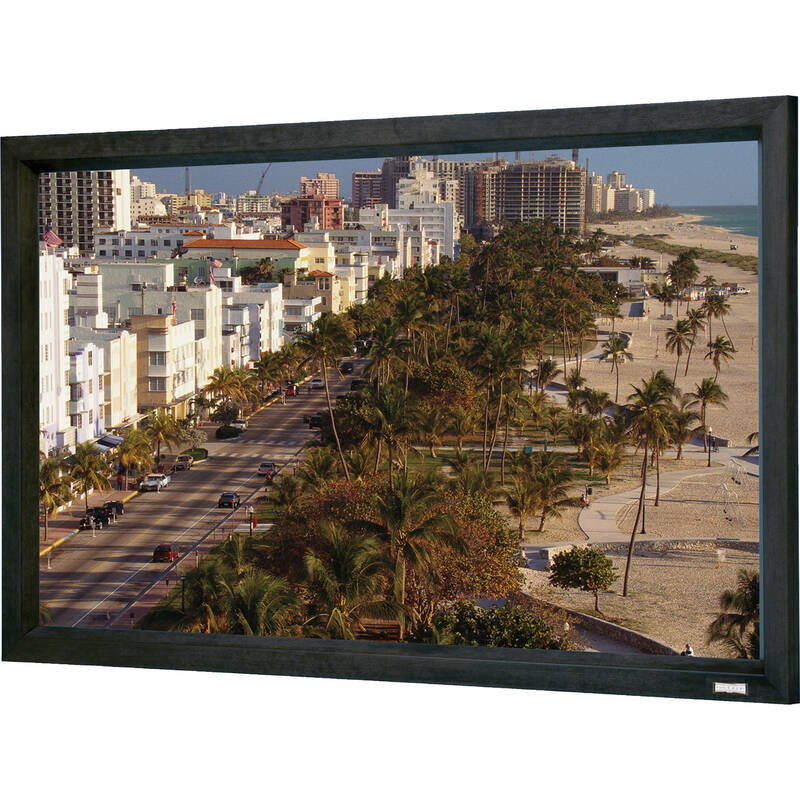 The 70350 Cinema Contour Fixed Frame Screen by Da-Lite has a 120 x 192" viewing area, 16:10 aspect ratio, and 226" diagonal. 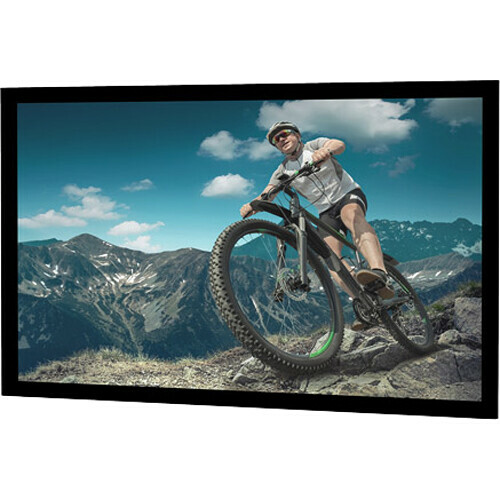 Dual Vision is a flexible vinyl surface ideal for rear projection, but capable of both front and rear projection. It has a gain of 0.9 and 130° viewing angle. It is suitable for video projection under controlled ambient light conditions. With a wide viewing cone and light gray tint, a sharp image with no color shift is observed regardless of location in the room. This seamless surface can be cleaned with mild soap and water, and is flame-retardant and mildew-resistant. This surface has also achieved GREENGUARD GOLD Certification.. The aluminum frame is 3” wide by 1.63” and is covered with black Pro-Trim fabric, which absorbs excess light around the viewing area. The frame is slip-jointed at corners and joints. The screen also includes standard wall-mounting brackets. Box Dimensions (LxWxH) 134.0 x 12.0 x 10.0"